I made this stretchy bracelet for my dear sweet friend Emily, before she leaves for France this week! She always looks so cute and I thought this color would be pretty on her. 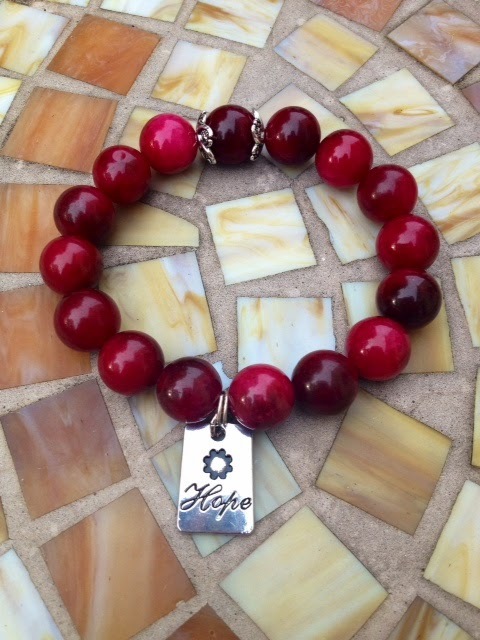 This bracelet is made from 12mm Deep Red Round dyed quartzite beads, with silver bead caps and a charm that says "Hope!" It has a small flower on it as well. Very simple, but the type I love and I hope she does too. 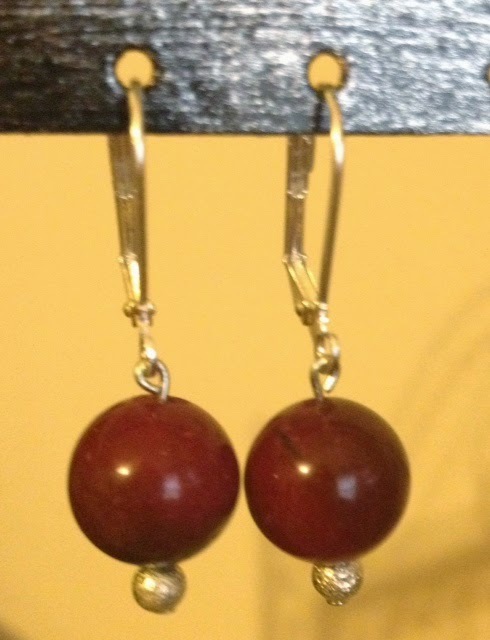 I made these for my friend Emily to go with a matching bracelet before she was leaving for France. I think this color will be beautiful on her, and I hope she likes them!